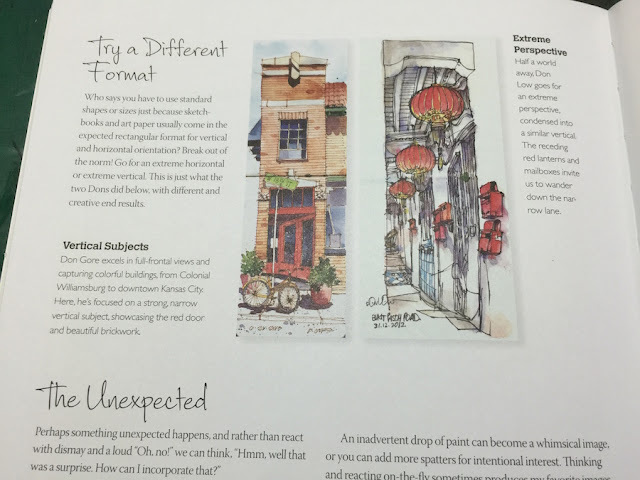 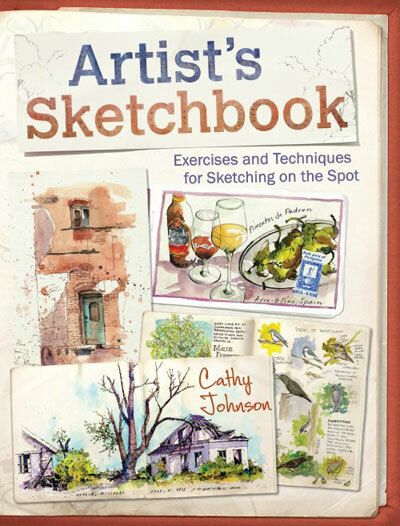 I am honoured to be included in Cathy Johnson's book, Artist's Sketchbook- Exercises and Techniques for Sketching on the Spot. 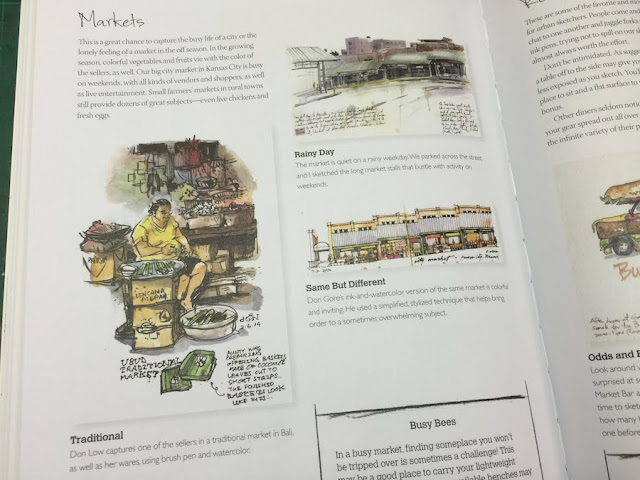 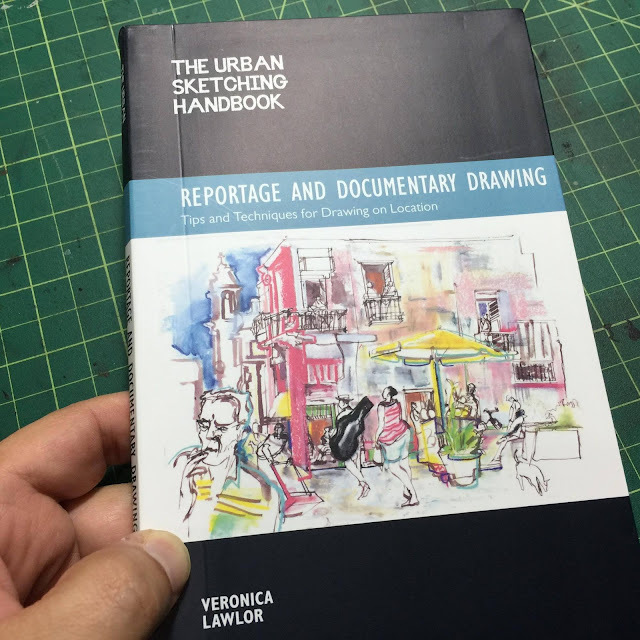 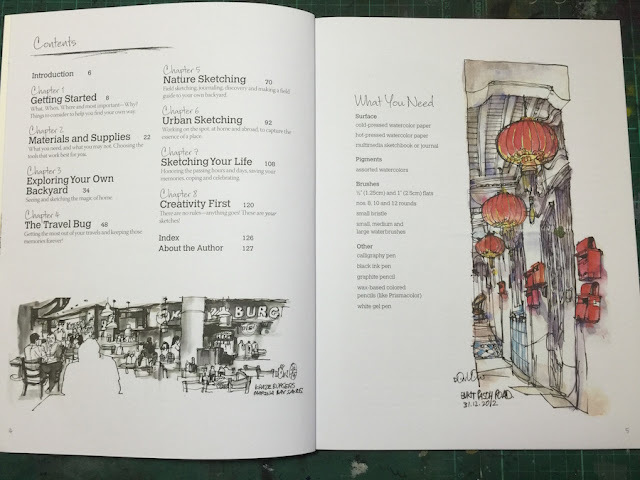 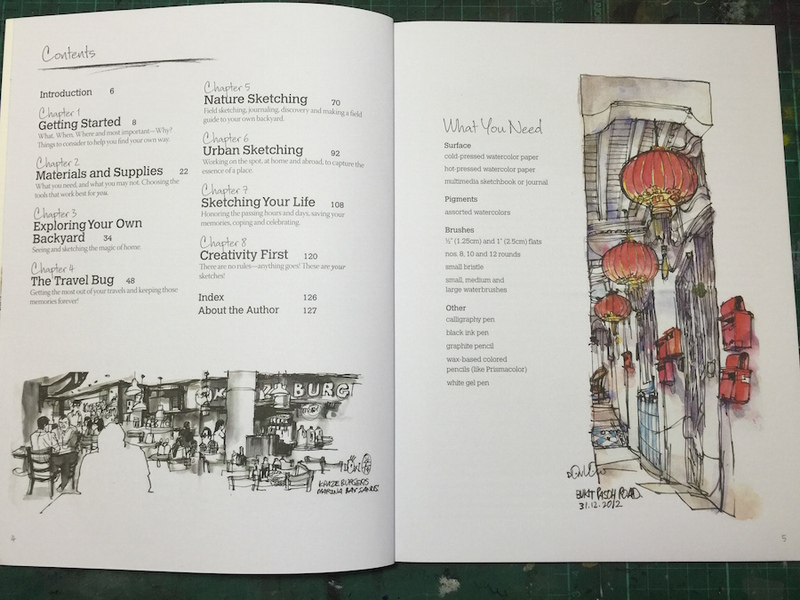 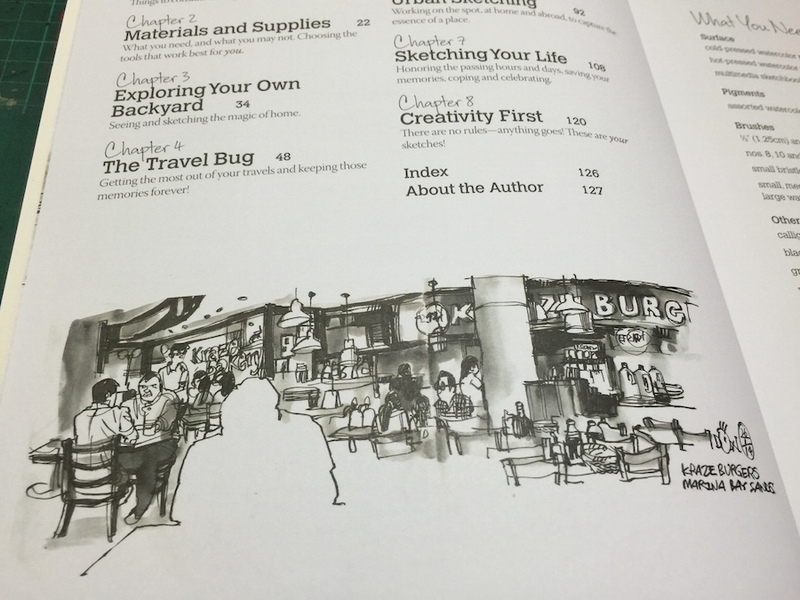 There are already many books published with Urban Sketching as the subject matter. I consider this particular one by Cathy a very comprehensive book suitable for both beginners and professional sketchers. 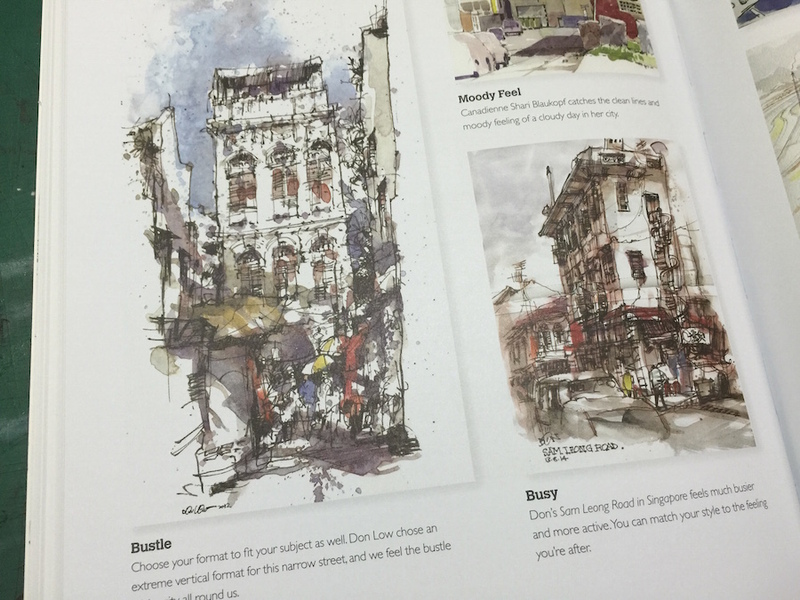 The book includes topics like finding a subject matter, exploration of materials and tools and approaches to sketching. 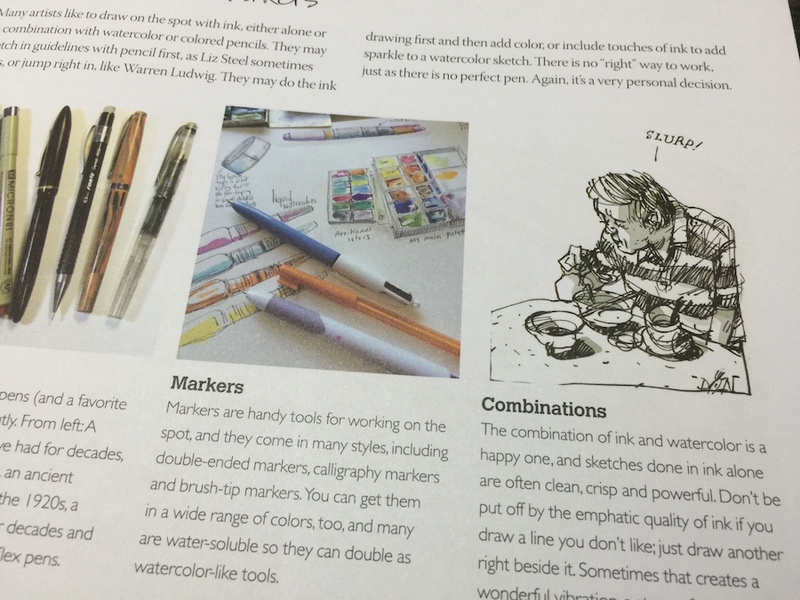 Best parts are those with step by step demonstration accompanied with clear and concise explanations with pictures. 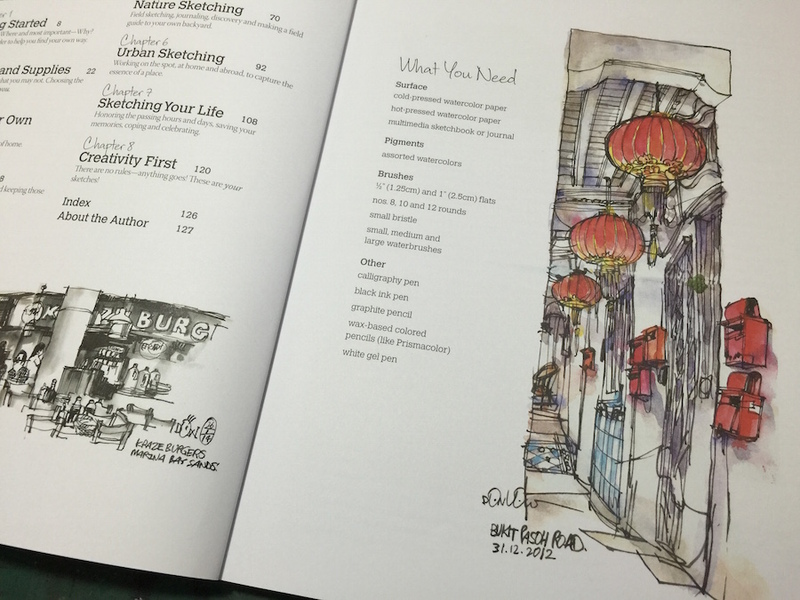 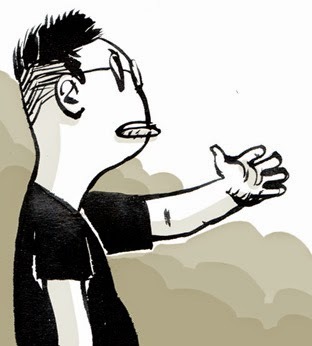 Here are the pages featuring my artworks, sketches and writeup. 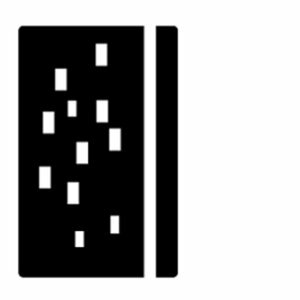 Click these images to see an enlarge version of the pages.